This Easy To Install rail system is exclusively available only at The Deck Store, sourced locally in Minnesota, and carefully created by the best aluminum rail fabricators available. You don't need name brand products to build like the pro's do. This is the same high quality railing system we install on our deck projects. Just because a system is name brand doesn't make it better, just more expensive. We promise you will be pleasantly surprised with this easy to install system. 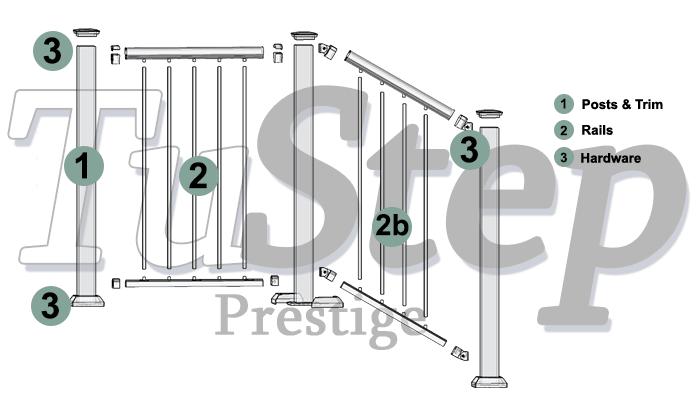 The Prestige rail is one of the easiest to install. We back up this promise with our commitment that if your not happy, we will buy it back. Simply return it to our retail location for a full refund no questions asked. * Product must be new and uninstalled in the same condition it was delivered in.